Wait so it remove the second holster right ? I can do it when I want ? Tell me more ! You can wear a bandana without closing up your shirt, not at camp I think but put bandana on take a room an open the shirt while bandana is on. Someone posted it today on Reddit it's pretty cool. 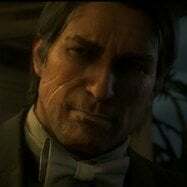 red dead wiki says his hair went partly gray, but due to the graphics it looks like light/greyish brown, there are no highlights..
the best option for epilogue John would be dark brown (but not black) hair with a little bit of grey highlights. 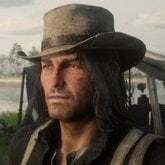 yeah, if they could add another texture for TB Arthur, they could give us a bit older texture of John.. even though I would say he looks older, but mostly because of hair model and especially if he gains some weigth. still, they did the same mistake as in gta v - in prologue Trevor has different texture of younger himself, without neck tattoo, but Michael has the same one, just a different hair. Actually Michael has a different face texture as well. It's less tanned, has more of a hairline and less wrinkles. We already tried that for GTA V and the number of people requesting heist vehicles in single player was WWAAAAAAAAYYYY bigger than us I'm afraid and they STILL ignored us. They deleted topics with tens of thousands of votes off the support website and ignored any and all emails about it. Yeah but there's a monetary reason for not including the heist vehicles in single player, people are less likely to pay for micro-transactions to be able to afford them if they can just buy them in single player with the millions of bucks you get after the last heist. It's the same reason they stopped letting you buy the new multiplayer weapons in single player too. With John's hair though there's really no reason they can't put it back in the game when it was obviously there before. They aren't likely to create an entire patch just for this one thing though. If they are gonna put it in they'll do it as part of a bug fix patch and there are still plenty of bugs and glitches in single player, I think the best thing we can can do is make them aware of that. It would make them more likely to do another patch. Nah doesn't work that way. The players naked body isn't meant to appear at all under the clothes. Let me spin that around. Are any prominent media complaining about these bugs? Does it stop you from completing the game? What's the financial gain of adding the hair to Red Dead Online for a high price in gold bars, say $4 worth, vs adding it to single player for free? People are complaining about Red Dead Online, that's the main focus now, single player be damned, as far as they are concerned, they got your $60 so you can either f*ck off or play Online and buy some gold. I can't link bc Reddit works only on my phone, go in r/reddeadfashion and search "quick tutorial on how to wear a bandana without having to button up your shirt". Actually, they stopped fixing bugs in GTA V after the Online came out in 2013 and after the respective day one patch on X1, PS4 and PC. They added some stuff sure but if you really focus, you'll see they made the game worse just like RDR2. Graphics were downgraded, clothes were broken, a blue fog all over the map, broken missions, etc. 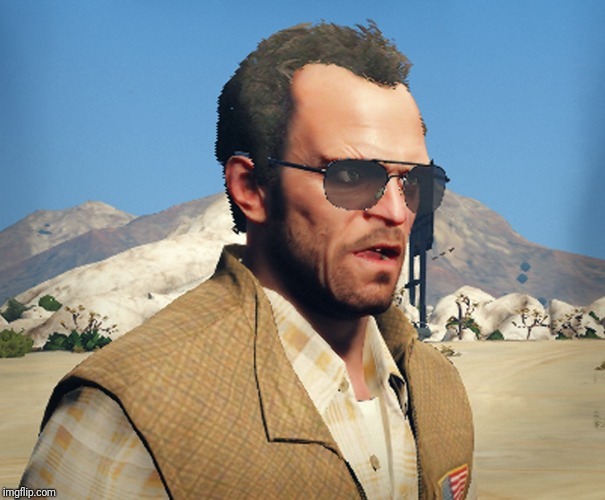 I still have hopes for a Director Mode/Rockstar Editor at least, and with it the ability to play NPC John and make some badass edits. It was not fun to edit a gunfight in GtaV bc of the lack of gore, now it's something else ! A man can dream. One week left cow pokes. Is It coming out on the 28th? Thursday is It? Nope, Tuesday the 26th exactly one week from now. Even online will not have new content (or just some clothes and "daily challenges") so.. it's a "quality of life" update. lol. Why not at this point.. Im disgusted that nobody care about this at all, it would be (I think) a good help to see some famous youtubers complaining about it, but if they don't care now they will never care and with R* attitude I have totally lost faith. My best hope as a console gamer is for a director mode where we can play every gang member. OK so I booted up the game as Arthur. I shaved my head before unpatching to see if anything happens. I now have Arthur's bald head superglued to his scalp and his 3 line haircut visible similar to what people saw with John's hair scalp under the bald head. WHY won't this work for my John?! ?